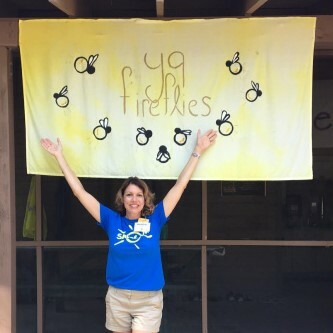 Shire employee Heather Harris, Immunology Business Lead, spent a week volunteering at Camp Boggy Creek, the SeriousFun camp in Florida. 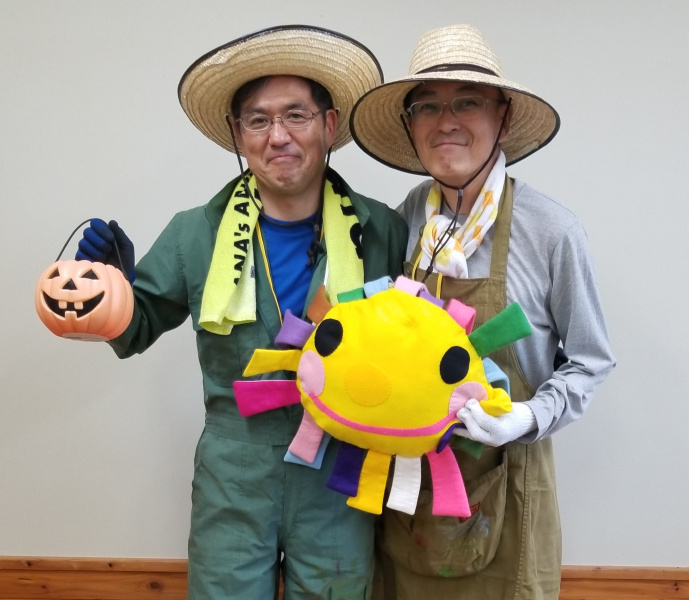 Shigeyuki Matsui (right), Japan Senior Communications Lead, volunteered at Solaputi Kids’ Camp, the SeriousFun camp in Japan (pictured with another volunteer). 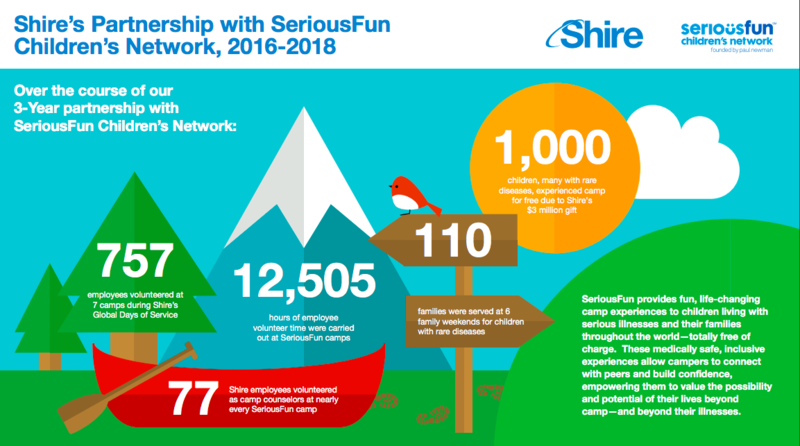 Shire employees in Japan made mascot dolls for Solaputi Kids’ Camp during their Global Days of Service event, Shire’s annual global initiative to give back to local communities. 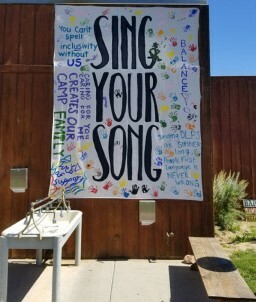 A Shire volunteer was inspired by a sign while at The Painted Turtle, the SeriousFun camp in California.